I think in a past life, nee, I know in a past life, I lived through the depression era. It's nearly impossible for me to throw out anything that has even the slightest possibility of becoming something else. 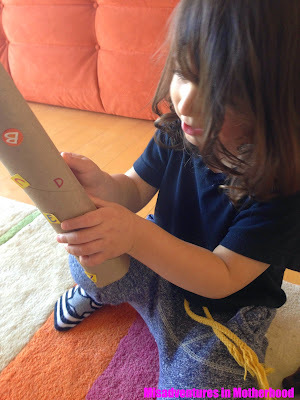 Case in point, a paper towel roll I turned into an alphabet primer. I couldn't resist peppering it with letters and having my 2 year old test his "a" game by matching stickers accordingly. I got heart palpitations at the thought of tossing a cardboard box, so we turned it into a car. And thus, all of my spring cleaning efforts are thwarted and become crafting sessions. Determined to complete my spring cleaning rounds, yesterday I set my sights on the kitchen. In a perhaps somewhat overzealous purge of my cabinets, I happened upon a bag full of Candy Corn. How anyone can actually eat this Dentist's dream of a teeth killer is beyond me, yet without fail, I find it in the back of my sweets drawer every spring. This year, as I pulled the gaudy orange bag from the dark recesses of my kitchen drawer, I also noticed that I was at the tail end of some cocoa powder and a box of artisanal hot cocoa mix for which I overpaid three years ago. Excited at the prospect of tossing not one, not two, but three containers in the rubbish bin, I set out to make use of them. A quick (read: two hour) trip down the Pinterest rabbit hole led me to two discoveries: one, that some people have really bad taste in interior design, and two, that a few enterprising folks were turning their stale Candy Corn into homemade Butterfinger candy bars. That was right up my alley, and now that I've tried it, I'm pretty sure that I'm never going to be able to eat Butterfingers any other way (unless, of course, it's stolen from Zippy's trick-or-treat bin on Halloween). 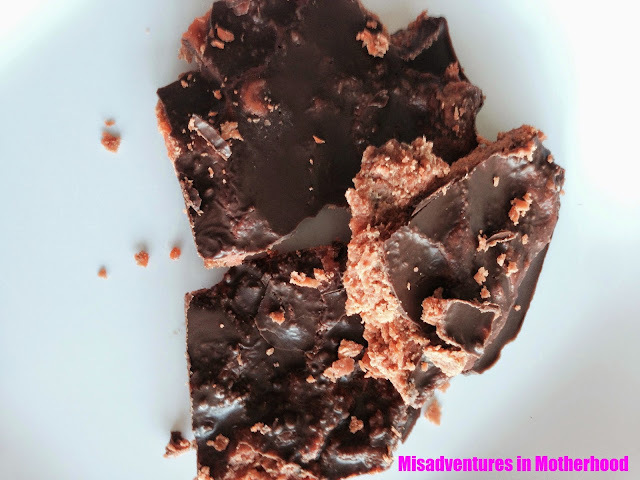 In this instance, I made my own chocolate by mixing melted coconut oil with the last of my cocoa powder and hot cocoa mix. But feel free to just melt down some regular ol' dark choc chips. 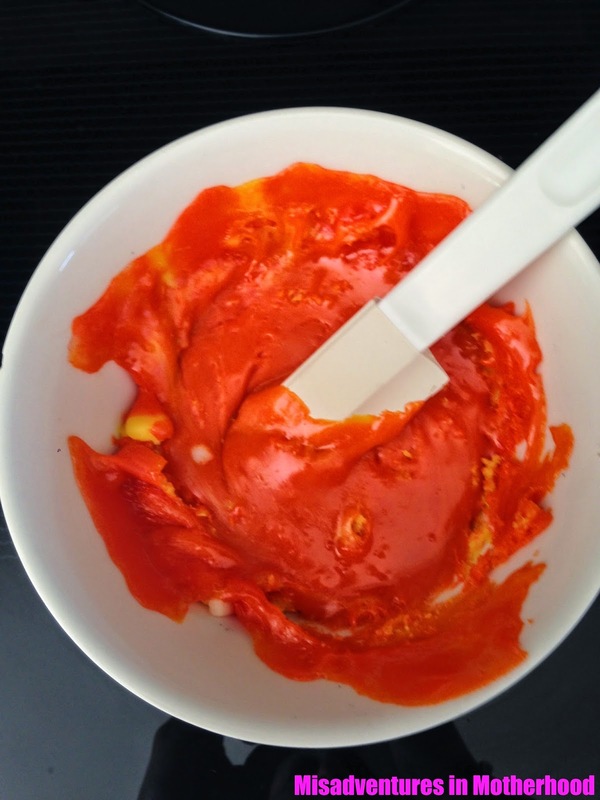 Nuke the candy corn for about two minutes until it's bubbling-ish. Carefully remove it from the microwave (dish will be piping hot) and mix with the peanut butter until combined. Let sit for a second or so to cool off. In the meantime, melt down the chocolate, and line a square baking pan with wax paper. 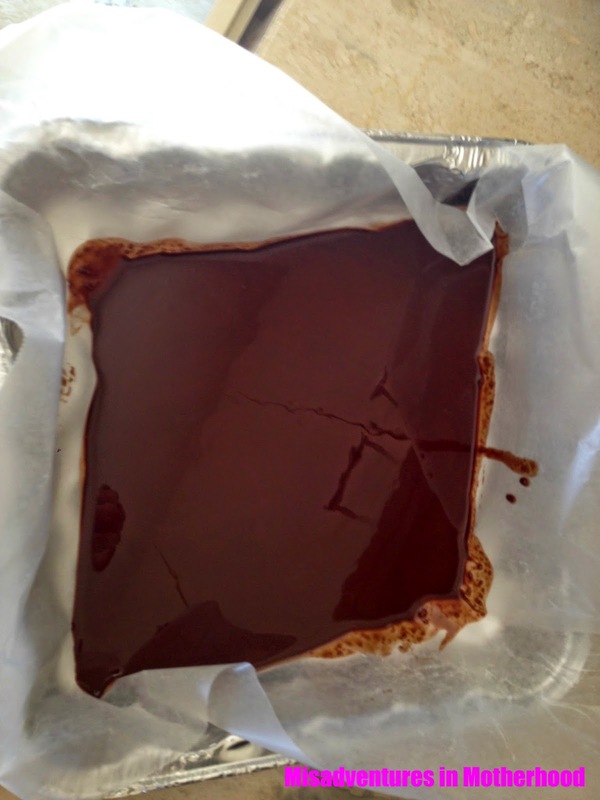 Pour the melted chocolate in the prepared pan, and spread it evenly over the wax paper. Now back to the orangey concocoction of peanut buttery goodness: once it's mixed and slightly cooler, knead it with your hands to ensure it's evenly combined. Flatten it out and layer on top of the chocolate. If the chocolate is still hot, the peanut butter mixture may sink into the chocolate, which is totally fine. 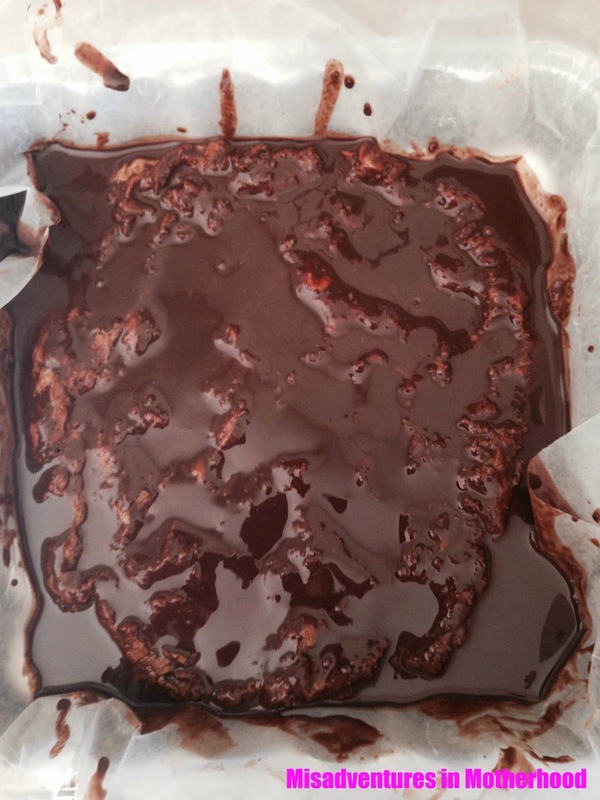 Coat any remaining exposed parts of the peanut butter mixture with chocolate, then place in the fridge to cool. Eat it on its own, mix it into homemade vanilla ice cream (more on that in another post), break it into pieces and use in place of the chocolate chips in cookies. Just try not to do what I did and eat it all in one sitting. Because now I have to hit the gym and leave the rest of the spring cleaning for tomorrow; good thing they offer free childcare.